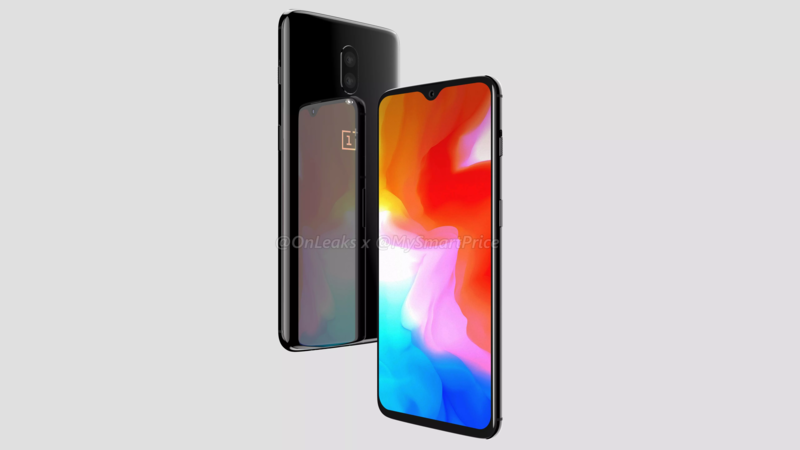 As if there was still anything secret about the OnePlus 6T, WinFuture.de has revealed more images of the phone in Mirror Black and Midnight Black. Flagships just can't seem to stay secret anymore. 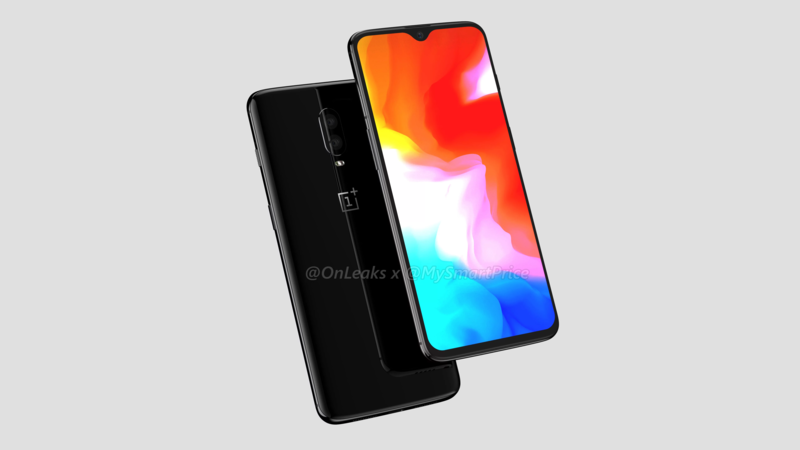 In addition to their previous dump of Pixel 3 renders, MySmartPrice was able to get ahold of a series of renders for the upcoming OnePlus 6T from well-known leaker @OnLeaks. The renders show off everything from the phone's measurements to its tear/waterdrop notch, and a conspicuous lack of a fingerprint sensor, and there's even a 360-degree video to go with it. 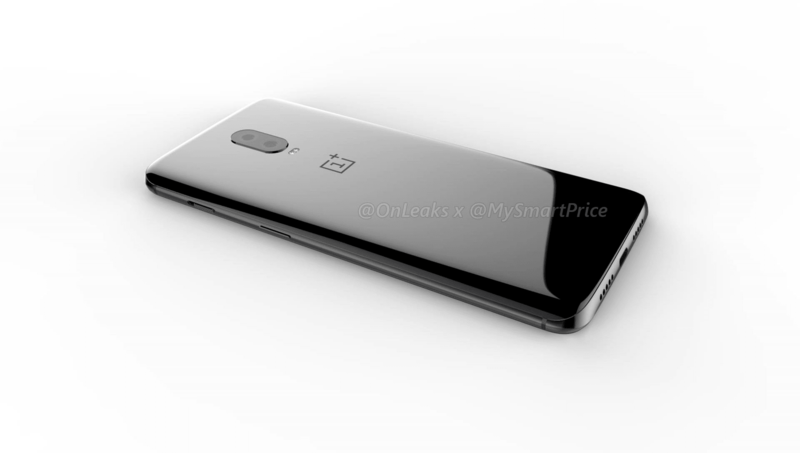 Nothing substantially new has been revealed, short of a final set of measurements for the new phone: 157.5 x 75.7 x 8.2mm (8.6mm at the camera bulge). 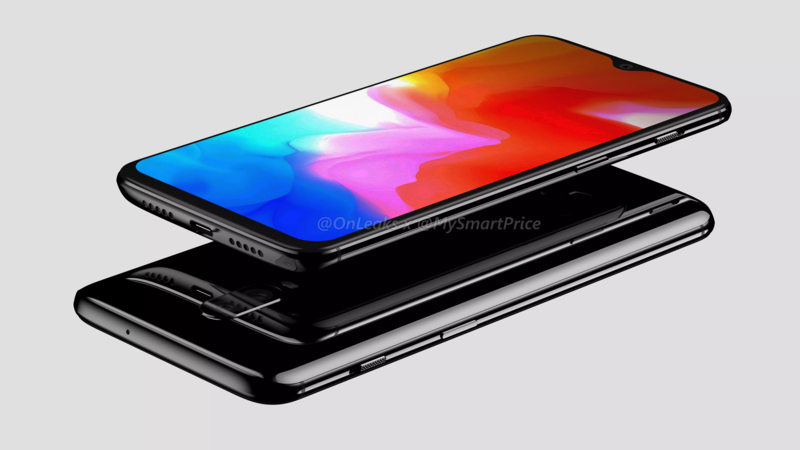 These dimensions line up with the OPPO R17 Pro, which was to be expected, given it was presumed to be the base for the new flagship. Based on that commonality, MySmartPrice also believes that confirms a 6.4" diagonal screen measurement —presumably that's something that can't be checked via the dimensions included to create the renders. This 8.2mm thickness is a bit chunkier than the existing OnePlus 6, which is a comparatively svelte 7.8mm. While part of that added girth is likely due to the additional hardware required under the display for the fingerprint sensor, it's also possible that a bigger battery could take advantage of the bump in interior volume. 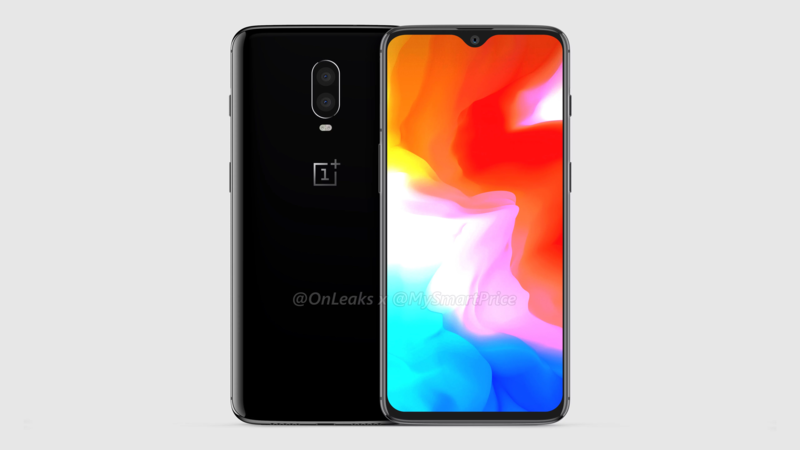 Other apparent continuities between the 6T and the OnePlus 6 are also present in the renders. 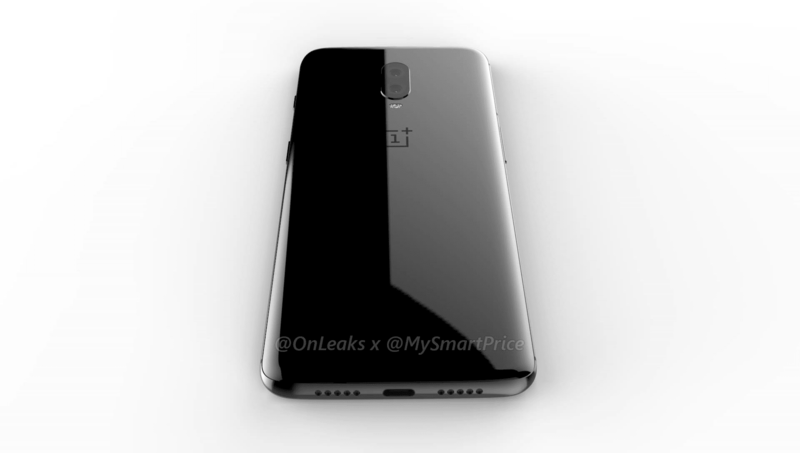 The alert slider continues to live above the power button on the right side, the rear features a similar-looking dual camera configuration in a vertical arrangement, and the glossy appearance of the back implies OnePlus is likely sticking with the large rear glass panel started with the OnePlus 6. It's something I like — especially in the acid-etched, fingerprint-resistant matte previously provided — but not everyone else agrees. These are renders, so take them with a grain of salt. 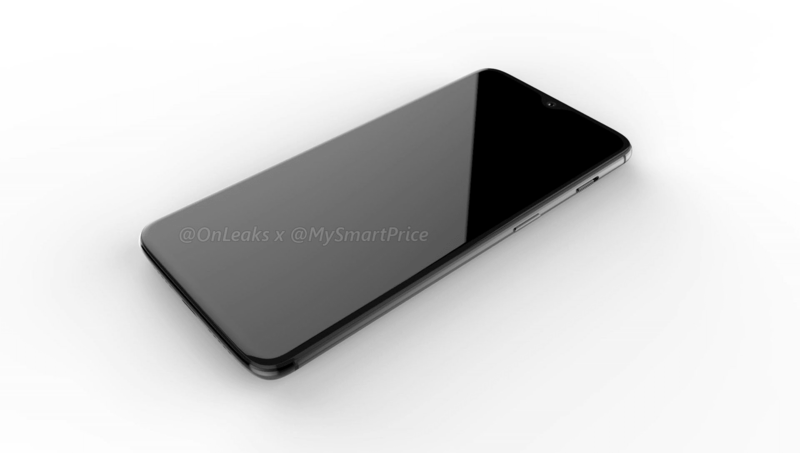 Often renders like these arise as leaks from accessory manufacturers, who are frequently sent precise digital dimensions of devices to prepare for things like cases. While these renders agree with everything we know and expect, it's technically possible that precise details could change — though something as major as a removed headphone jack probably wouldn't slip through. For more photos (there are a lot) check out the source link below.